Look out Microsoft. New Big Data services with a taste of SQL highlighted a bevy of new offerings added to the Oracle Cloud Platform yesterday. At a live event, exec Larry Ellison was on hand to introduce more than 25 new Software-as-a-Service (SaaS), Platform-as-a-Service (PaaS) and Infrastructure-as-a-Service (IaaS) cloud products. Among these is the Oracle Big Data Cloud Service, providing an Apache Hadoop-based distribution from Cloudera Inc., dedicated high-performance hardware and networking, and security via Kerberos and Apache Sentry. Combined with the company's new SQL-on-Hadoop Big Data SQL Cloud Service, they form an enterprise-oriented offering that Oracle calls a comprehensive Big Data Management System. The system extends Oracle's SQL-based implementation to enable unified queries and security across Hadoop and its traditional counterpart database technology, NoSQL. "Oracle Big Data Cloud Service and Big Data SQL Cloud Service provides a high-performance, secure platform for running diverse workloads on Hadoop and NoSQL databases to help enterprises acquire and organize Big Data," the company said in a news release. Oracle said that by leveraging the well-known SQL query language, its solution provides familiar technology, tools and training to help organizations address "the widening Big Data skills gap." "While experts can easily work with data in Hadoop and NoSQL databases, most of your organization is not familiar with these new environments," an Oracle solution brief states. "But most people do know SQL, and it's the main way that business applications already access data." "Your analysts can use their existing SQL skills to access new data, and your existing applications require no changes to access data in Hadoop," the brief continued. "Big Data SQL also extends the security capabilities of Oracle Database to data in Hadoop and NoSQL, so you can use your existing policies and processes to keep your data secure." In addition to supplying familiar technology and the ability to use incumbent skills, Oracle said its new solution uses its SmartScan technology to reduce data movement, which it characterized as one of the major impediments to speedy Big Data analytics, even in the cloud. On the more traditional database front, Oracle offered another tilt at Microsoft and its Azure Big Data services. The company announced the Oracle Database Cloud - Exadata Service, providing a cloud host that gives users the same functionality, performance and availability of its familiar on-premises Oracle Database packaged with the Exadata appliance. The company describes Exadata as "a modern architecture featuring scale-out industry-standard database servers, scale-out intelligent storage servers, state-of-the-art PCI flash storage servers and an extremely high-speed InfiniBand internal fabric that connects all servers and storage." 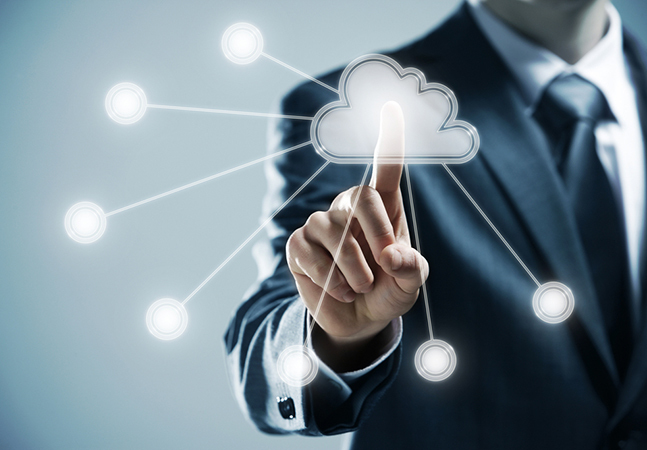 The cloud offering is 100 percent compatible with its on-premises counterpart, the company said, which paves the way for a smooth cloud migration or transition to a hybrid implementation providing the best of both worlds. Another service introduced yesterday is the Oracle Archive Storage Cloud Service, which squarely targets a comparable Amazon Web Services Inc. (AWS) offering at one-tenth the price. You can read more about that at our sister publication, AWS Insider.net. You can also learn more about all the new services in the John K. Waters article, "Oracle 'Completes'its Cloud Platform," on sister site ADT Mag.